Relocating your home or business to North Dakota requires careful planning, a lot of packing, loading, and money. But, if you want to enjoy more in your move, to save your time and money, turn to Best Cross Country Movers. Our agents do their best to coordinate your household or business move providing you with all resources and logistics your move requires. Located throughout the state from Grand Forks to Williston and Bismarck to Fargo our agents are waiting for you to give us a call to handle your move with efficiency and care. We are capable of handling all the details. Located throughout the state from Grand Forks to Williston and Bismarck to Fargo our agents are waiting for you to give us a call to handle your move with efficiency and care. Your move deserves a unique approach! Hire our interstate movers North Dakota! Because we know every city, street, and corner in the state there is no better moving company to handle your move. We understand that every move is unique and requires a personal approach. Our moving services are customized to handle all your needs and budget, too. Our highly trained movers can help you relocate no matter you are moving your small apartment, big family house, office or a big corporation. We have knowledge and equipment to handle every type and size of the move. Licensed and bonded agents are the best ally in your cross country move. Professionals are here to provide yours with a piece of mind that comes from knowing your belongings are safe and protected in our good and capable hands. Because we care about your needs, wishes, and budget, we make moving budgets to satisfy all our customers. No matter you need a full-service team to relocate an entire office or partial packing services for a few rooms in your home, you are at the right place. We listen to your needs, and we provide safe moving resources and customer services to make you satisfied and happy. Don’t hesitate to give us a call to get more information or to fill our free online moving quote. What must you see in North Dakota? Lake Sakakawea – the third largest human-made lake in the nation. Theodore Roosevelt National Park – here you can see populations of bison, horses, prairie dogs, and elk. 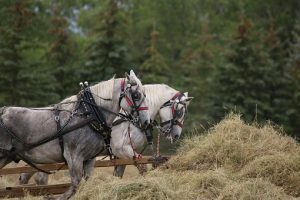 You can enjoy with your family in hiking, camping, and horseback riding. 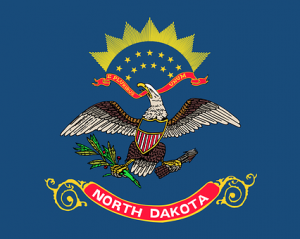 The state capital Bismarck – In this city, you will learn more about the history of North Dakota. Also, you can enjoy many parks or take your children to the Dakota ZOO. The state’s largest city – Fargo, located on the Red River of the North floodplain. This is the cultural, educational, and industrial center for Eastern North Dakota. You have thought you will pack easy? But then you saw how much things you actually own, and now you feel stuck. Balancing between organizing the move, bureaucracy, saying goodbye to your friends and preparing your family for the move, you don’t have much time left, do you? Well, you shouldn’t worry, you are in the right place! Long distance movers North Dacota are here to pack your household or your office for you. From your furniture to the small and fragile items, all your things are safe with cross country movers North Dacota. We will treat them like they were our own and prepare them for safe transfer. Beside the professional packing service, we will provide you with high-quality packing supplies as well. You don’t have to lose your precious time hunting boxes and materials, we will bring our own. Instead, use your time for more important things, like planning the new chapter of your life! Are you thinking about leaving some things behind? Well, that is a great idea. Why should you overload your new home with things you don’t use so frequently when you can simply store them and reach out for them when you need them. Beside the fact that we are one of the best interstate moving companies North Dacota, we also have a premium storage facility. We offer all types of storage units in several convenient sizes. We will be more than happy to help you find the solution that suits best your needs. 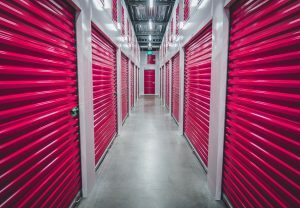 Whether you need short or long term storage, you can be sure your belongings will be safe at our facility. With our latest technology security systems, you will have nothing to worry about! Our high-quality storage units of all types are available in several convenient sizes, just pick one! We are one of the best interstate moving companies North Dacota and we are at your disposal for any concerns, questions and special requirements. Whether you are looking to get a free moving estimate or just some additional information, feel free to contact us. We will be glad to present our services, our rates and help you find a moving package that will meet your expectations to the fullest. Because we care about our customers and fulfilling their wishes. Our mission is to see our customers satisfied and return customer is the best award for the job well done! And how can you get in touch with us? You can contact us via phone, email or visit us. Interstate movers North Dacota will be glad to hear from you!